When Marimekko was founded in 1951, its bold colours and unconventional prints gave the company a strong and unique identity. 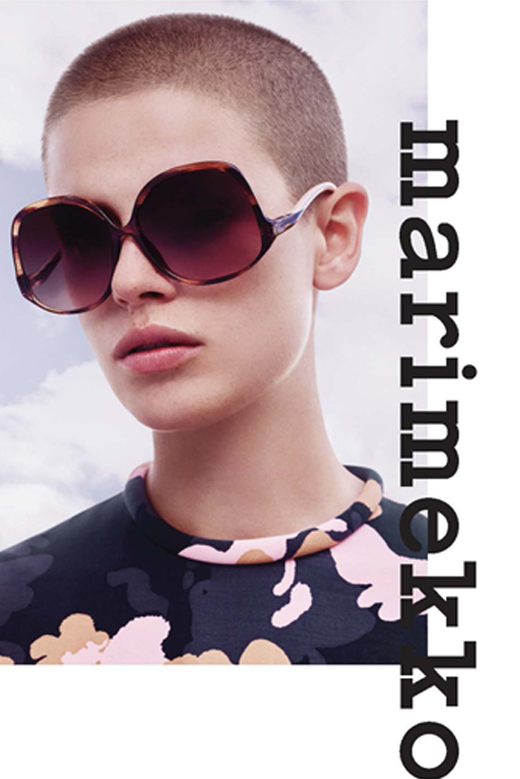 Marimekko’s courageous, positive and empowering way of life is translated into the eyewear collection through selected classic prints and a unique colour palette celebrating the art of print making. The love of nature has inspired brushed wood effect finishing, while Marimekko’s timeless dialogue between colours comes alive through the play of contrasts with palettes and materials. Marimekko sunglasses collection features refined and sophisticated silhouettes, hand-finished by a unique use of colour in a never ending dualism between materials and shades; as matte finish stainless-steel and sophisticated hand-crafted acetates combine with hues of the blue sky, earthy browns and warm reds.